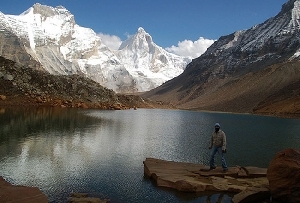 Satopnath Lake or the Satopnath Tal in Uttarakhand is one of the most difficult trekking spots in Uttarakhand yet surpasses the other regions in its sheer beauty and serenity. 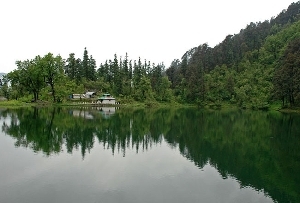 Situated at a height of 14, 300 feet this is a beautiful triangular glacial lake amidst the Garhwal Himalayas. 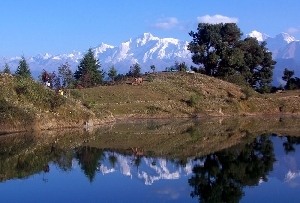 Walk through the rugged and steep roads with its sharp edges to reach Satopnath Lake in Uttarakhand. Nestled amidst the rugged hilly region of Himalayas, the journey to Satopnath is a trekker's paradise. Cut off from the rest of civilization, the beautiful glacial lake lies etched with the Garhwal Himalayas at its backdrop. The journey will surely give you that perfect adrenaline rush as the roads are open to land slides and all sorts of natural calamities. 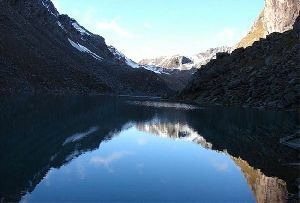 Located a few kilometers from Mana Village, on your way to Badrinath, the Satopnath Lake is breathtakingly beautiful. 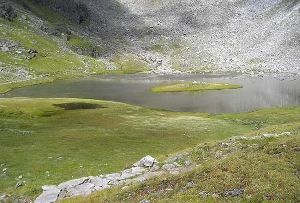 You can go back to Badrinath from Satopnath Lake by taking a walk for 3 days. 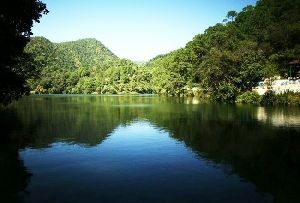 Placed beneath the Badrinath peak, Satopnath Lake has a number of mythological stories related to it. 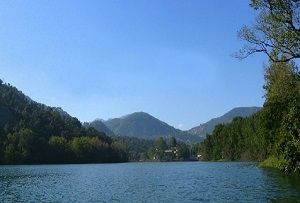 It is believed that the divine Trinity of Brahma, Vishnu and Mahesh had meditated here and each corner of the triangular lake is named after them. 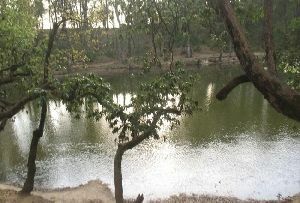 One of the most serene locales it is said that the silence which prevails at this place is guarded by the Gods themselves. Throughout your journey you cannot relax anywhere except the caves. 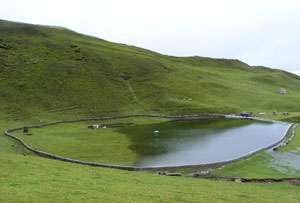 So pack your rucksack and start off for Satopnath Lake near Badrinath and the strenuous journey is completely worth the effort if the destination is Satopnath Lake.